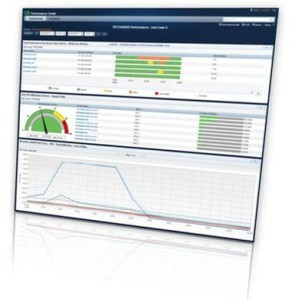 Designed for mega-sized networks run by communications service providers (CSPs) and large enterprises, CA Performance Management is based on a modern, centralized Multi-Tiered Architecture that overcomes the scalability, functionality and cost-of-ownership drawbacks of alternative network monitoring solutions built on older architectures. CA Performance Management monitors the massive amount of metrics required by CSPs and very large enterprises to assure network performance and uses an exceptionally small host footprint to lower capital and administrative costs. The solution’s architecture optimizes network management by overcoming the inefficiencies and bottlenecks found in older appliance-based and distributed polling/data storage-based tools. 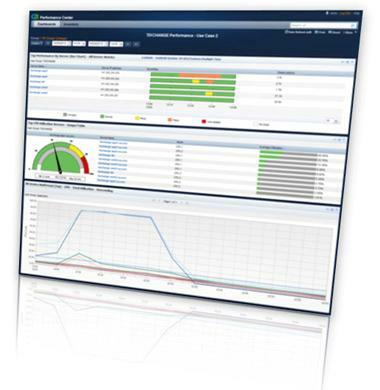 Through a modern dashboard-based user interface, CA Performance Management unifies its native performance, availability and capacity analytics with network flow, application performance and VoIP/Video analytics from pre-integrated add-on monitoring functions. Unifying this wide range of functions in self-customizable dashboards frees personnel from manually extracting and correlating data from separate tools and relying on administrative support to create their own workflows. CA Performance Management’s REST application interface (API) enables zero-touch monitoring through integration with other operational support systems (OSS), business support systems (BSS), provisioning tools and configuration management databases. Open APIs enable users to self-certify new devices for monitoring as well as customize monitoring settings. Open application interfaces (APIs): Supplies modern APIs based on representational state transfer (REST) architecture for easy integration with other monitoring, business, provisioning, analytics and reporting systems, as well as customization of threshold and other metrics. Increases efficiency through integrations with OSSes, BSSes and other tools for zero-touch monitoring and device self-certification.